With the phrase “fake news” increasingly used in jokes and memes, the Overby Center for Southern Journalism and Politics will convene a panel of journalists on Wednesday, March 20, at 5:30 p.m. at the University of Mississippi for a conversation on the sobering truth about fake news and how the phenomenon is undercutting the foundation of our democracy. 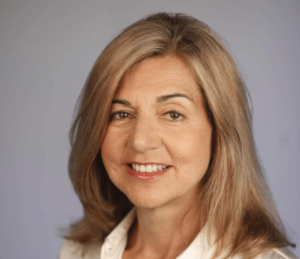 Margaret Sullivan is a media columnist for the Washington Post. Photo via The Washington Post. Joining Sullivan in the conversation will be Charles L. Overby, chairman of the Overby Center and a long-time newspaper executive. He is also the former chairman and CEO of the Freedom Forum, Newseum and Diversity Institute. In addition, Greg Brock, a senior fellow at the Overby Center will join Sullivan, with whom he worked at The New York Times. Brock was an editor for 20 years at The Times before retiring in 2017. In his final role as senior editor for standards, he worked closely with Sullivan during her time as public editor. The program is the fourth in the Overby Center’s schedule for the spring. It is free and open to the public, like all of the center’s events. A reception will be held following the program. Free parking will be available in the lot adjacent to the Overby Center Auditorium. For more information about the event or the Overby Center, go to www.overbycenter.org.